My middle-little, Norah, scored a spot in Kinderwoods Forest School this fall, and I'm so happy it's been her first preschool experience. The whole thing is just so neat I feel like pinching myself. Twice a week I drop her off and watch her and her small heard of 3 - 6 year-olds hike off into the wilderness (in the mildest sense of the word, haha!) for a few hours of adventuring, snacking, tea-drinking, and learning. And truly, the story of how it all began is just as fantastic. 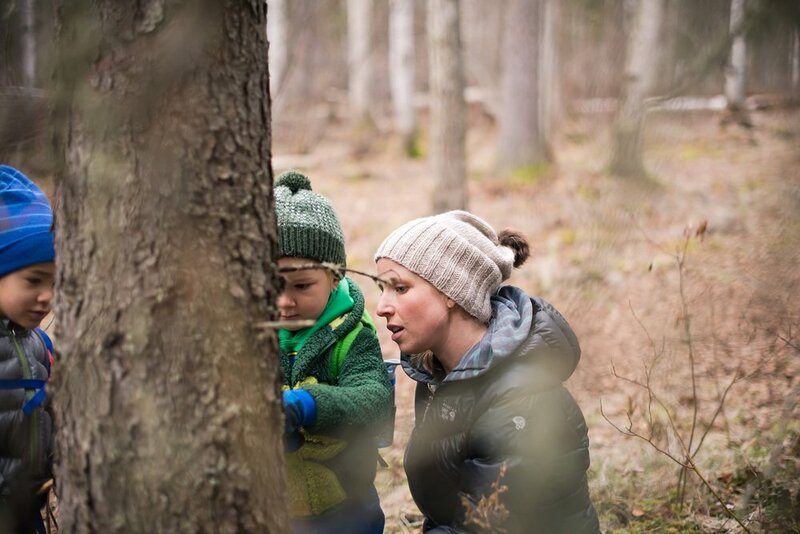 Beth, the founder (and current teacher), wanted to enroll her little one in a Forest School-type program. When she found there wasn't anything like it here in Fairbanks...she opened one herself. Needless to say, I'm pretty psyched that she's one of my daughter's first role models. 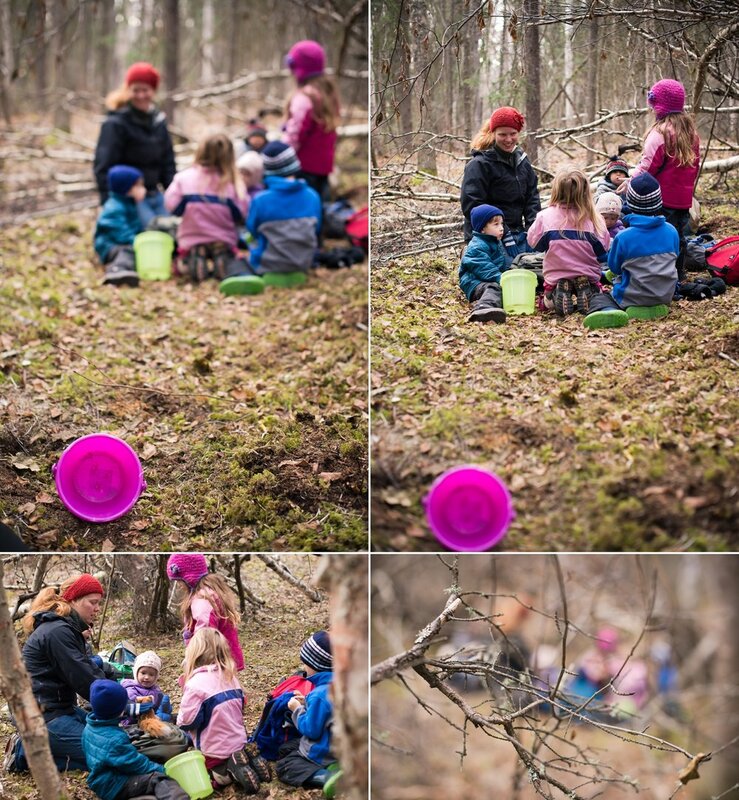 Beth was kind enough to let me tag along with the class one day near the end of the fall session to make a photo essay on the Day in the Life of a Forest School. It was so. much. fun. 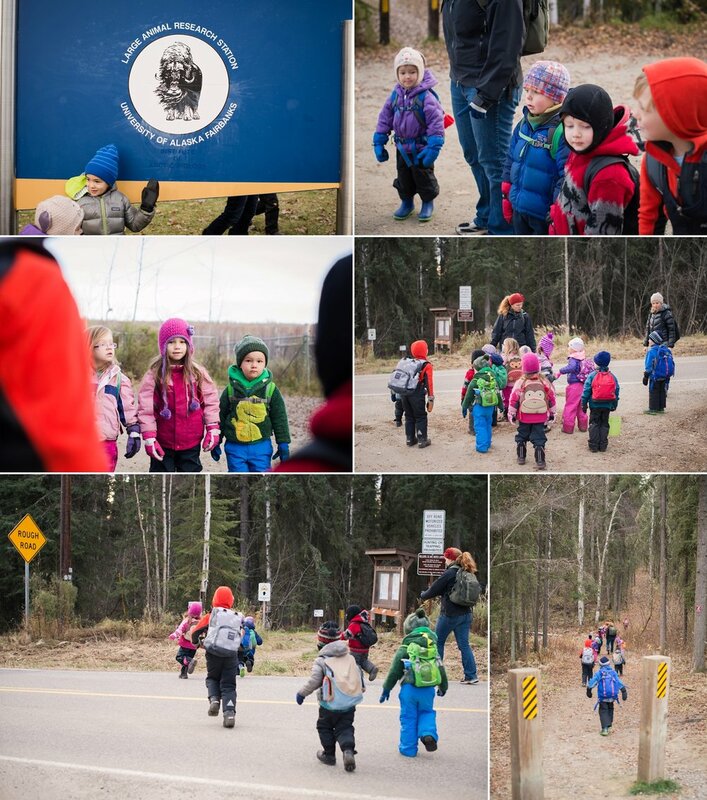 to watch my daughter be her own little adventuring person among all her classmates. 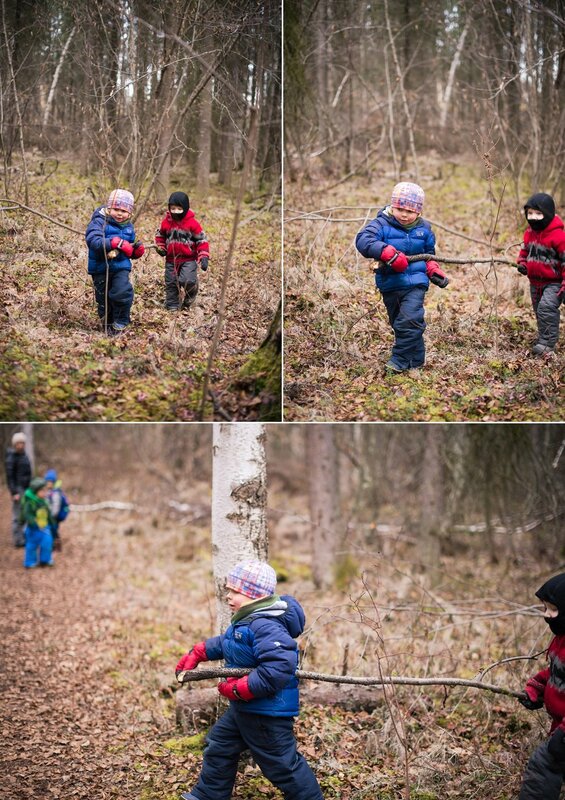 All these tiny kids were absolutely dwarfed by this gigantic forest, and yet each and every one was eminently at home there - completely comfortable playing, eating, drinking (and even peeing!) there.